Powerful and gripping. Early part of movie is slow and deliberate until it builds to a ferocious heart stopping climax. Not hard to understand all the accolades that Close has received. Pryce and all the performers are terrific. Fine script and wonderful direction. You have to give it time to unfold but if you do you won’t be disappointed. One of the best of the year. 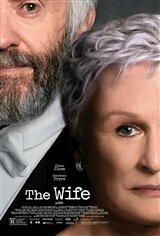 This was an excellent drama with superior acting by Glenn Close and Jonathan Pryce. It is not a film for people with limited attention spans or the uneducated. It is a great depiction of how some women will forego their careers for less talented husbands. It is well worth seeing. Glenn Close deserves an Oscar nomination for her performance. I do recommend this film!